Repackaged and reformulated, the Maybelline ExpertWear Eyeshadows ($4.99 - $8.99) are back with a vengeance. Gone are the old bulky, concave palettes... in are the new sleek and chic ones. The new formulation still has nice pigmentation and smooth application, but it's less powdery and more long-wearing than before. The shadows come in the same cult favourite shades along with a few new and fun combinations. While the quads come complete with foolproof instructions on where to apply each shade for beginners, the seasoned makeup geek will find the shades are versatile enough to create an array of looks. My personal favourite is the quad in Natural Smokes. It houses the perfect shades for an everyday neutral eye. 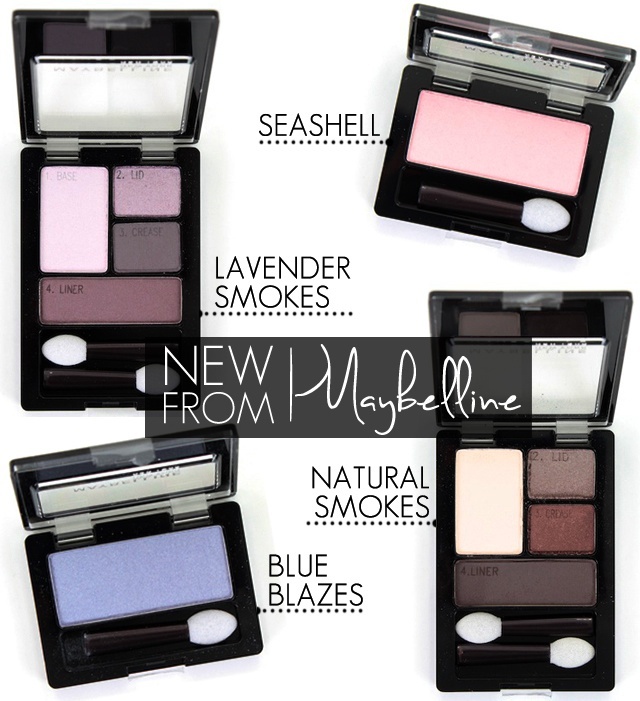 Lavender Smokes is also nice because the purple hues compliment every eye colour. 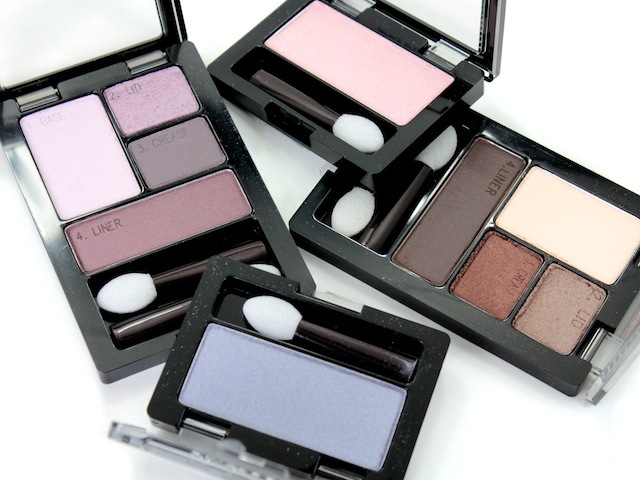 Keep a look out for these budget-friendly eyeshadows, they should be hitting drugstores now! Finally, they are flat and storage friendly! Do you happen to know if there are any new shades? I spotted them today at CVS but they all appeared to be repromotes except for one quad I was not sure about. I have so many of them it's hard to keep track, lol. Thanks.. I actually found a big display tonight at my local Walmart, there were 3 or 4 new quads. I grabbed one to try, but haven't used it yet. Preliminary hand swatches showed a mix of pigmentation.. there was a dark brown with gold shimmer that was fantastic, the other three colors (bright gold, cranberry, and light beige) were the same I expect from the old formula.. smooth with medium pigmentation.